The Philippines team composed of Kiefer Ravena, Jeron Teng, Kobe Paras, and JR Quinahan concluded their FIBA 3×3 World Cup campaign in Nantes, France with a 2-2 card in their group phase, replicating the run Karl Dehesa, Glenn Khobuntin, and Mac Belo had in China a year ago. The Philippines failed to advance to the quarter-finals for the second consecutive time, which may not mean that much right now as it is just the second appearance for the country in the world level. However, it is also important to learn from this experience. 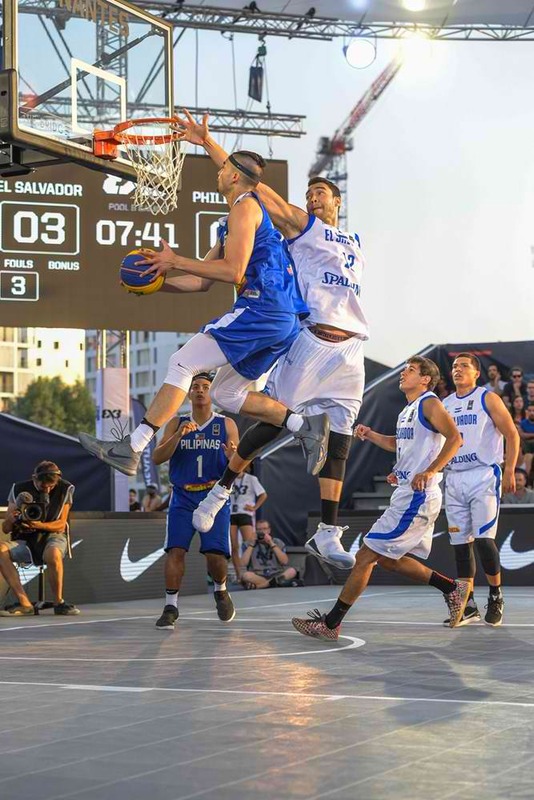 Remember, the Philippines will be hosting the same World Cup, the most prestigious FIBA 3×3 tournament, in 2018. We don’t want to get embarrassed in front of our home crowd. Here are three takeaways from the Philippines’ FIBA 3×3 2017 World Cup run. There’s a notion that the 3×3 discipline is all about the one-on-one skills and that there’s no emphasis on defense. But every time, the elite teams have shown that the basic fundamentals are even more highlighted in the 3×3 game. Take for instance the shrewd execution of reigning world champs Serbia, whose four players have been together for four years now and are actively participating in FIBA’s 3×3 circuit. Teams keep it simple and get to their offense quicker. As exposed by our losses to Slovenia and France, our much bigger opponents pounded us in the post several times. They kept establishing good position inside the paint by inviting the Philippines to switch pick and rolls, which ended up seeing Ravena or Teng get beaten in the post against more imposing players. Individual defense plays a key part in the 3×3 game. The more physical one is and the better he is able to keep up with his defensive assignment — which leads to less switches and rotations — the better for the squad. The recent tournament highlighted the need for well-rounded players in the 3×3 game — players who possess the height, length, speed, shooting, and physicality, among other aspects of the game. Not that the four players we had aren’t effective, but they have their limits in the 3×3 game. Ravena and Teng, particularly, unless they are going to be sharp from the outside and can rebound well, they are going to be exposed. Paras also has to be better with his lateral movement although offensively, he has shown progress compared to the last two 3×3 tournaments he competed in (in the U18 ranks). As mentioned, Slovenia and France kept attacking mismatches which affected the Philippines’ hopes of making the next round. Fortunately, there are a handful of “modern” players in the country right now, like Troy Rosario and Mac Belo. Even with his lack of shooting, Calvin Abueva could be a good fit for the 3×3 game as he is able to use his brute force to succeed. He can draw a lot of fouls, and in the 3×3 game, going above the foul limit has some serious repercussions to a team. Plus, Abueva won’t be overpowered that easily in the post. If the Philippines can string together the best four guys next year, we have a good shot of advancing past the group phase and making it deep in the playoffs. The 3×3 World Cup level is no joke; contenders send experienced professionals to this stage. It was recently announced that 3×3 is now an Olympic sport. For the 2020 Olympics in Japan, 3×3 has eight spots up for grabs for the world. The Philippines finished ninth in the World Cup last year, and 11th this year, which is an encouraging sign considering we are relatively new to this field. We are already a top-10 team in the world. Even if it’s “just” the 3×3 game, who wouldn’t want to see the Philippines competing in the Olympics, the grandest stage of sports? It’s still basketball, which Filipinos are crazy about. It’s not likely the United States will be sending LeBron James and Kevin Durant, or Spain will be fielding players from their five-on-five national teams. We don’t want to waste a good opportunity presented to us because we can capitalize on the 3×3 discipline of basketball and compete in its highest levels.